A trailer for Iron Man 3 is set to hit the web tomorrow. Fans have already gotten a taste of what to expect through the Iron Man 3 Facebook page. Now even more content is making its way to the web. Released today is the first poster for the film (shown above). The first poster features Tony Stark surrounded by his armor while the latest suit begins to take form. It may not indicate anything about the story (with the exception of the armor), but it is intriguing. Along with the new poster is the first image of film’s baddie,courtesy of Entertainment Weekly. At long last, Iron Man will face his arch-villain: The Mandarin. 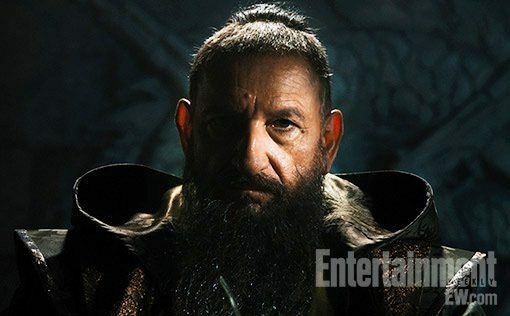 Taking up the role of the villain is none other than Ben Kingsley, as he will take on Tony Stark in this massive adventure. That’s all we’ve got until the Iron Man 3 trailer comes out tomorrow. As for the film itself – Marvel Studios has it set to hit theaters May 3,2013. Can you wait? Leave your comments below!